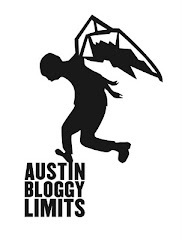 AustinBloggyLimits - An Austin Music Blog: Patrick Wolf & Fever Ray/M83 tangent! So, Patrick Wolf plays Antone's tomorrow night in support of his latest release the Bachelor. I have been a fan of Patrick Wolf for a while now but I didn't realize what he was doing with this new album. Apparently he was once signed to GiantFacelessMusicCorp. Record Label Machine and got dropped. So, to fund the Bachelor and its up-coming companion The Conqueror, Wolf took to a site I had never heard of called Band Stock where fans purchase shares in an artist and become investors in an album/tour/whatever. How crazy is that? I didn't really peruse the site too much yet, so, I'm not sure if there are any other "well-known" artists using this method but it seems to make sense to me. I'd invest in _________ or The _________s to hear their new material. I feel like an American-born singer-songwriter could never get away with music like this. I don't know why that is but I believe it to be true. There are just certain sounds that are inherently European and P. Wolf def sounds Euro to me. That's not a bad thing, M83 sounds Euro and I love them THIIIIIIS much. While, I'm on a tangent here, have y'all heard Fever Ray? I first heard this on Sirius XMU and thought damn, this sound like something new from the Knife! Turns out I was sort of right, Fever Ray is one half of the Knife. I know this is one of the songs that EVERYONE knows by the Knife but it's so effing cool! I'm posting it anyway damn it!